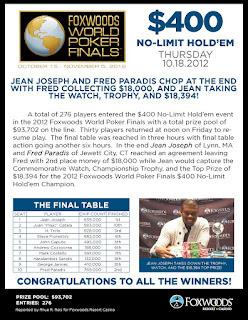 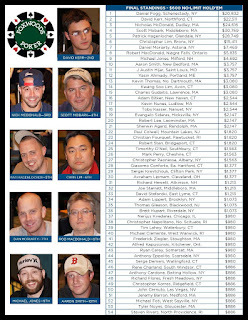 We had a total of 280 players in today's $400 No-Limit Hold 'em at the Foxwoods World Poker Finals. 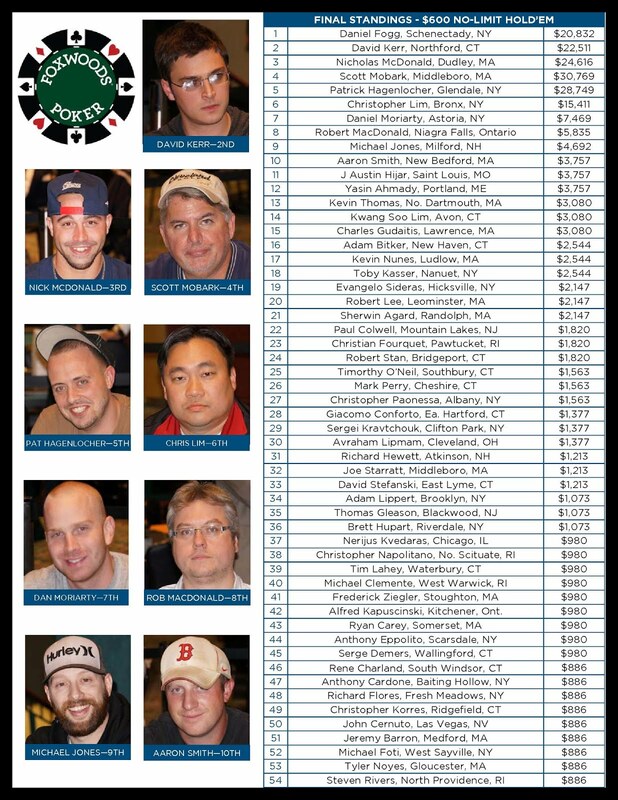 The final 30 spots will finish in the money. 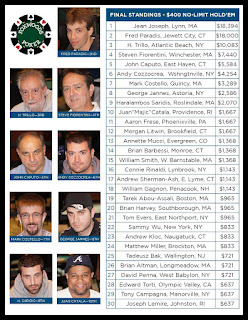 The blinds are currently at 200-400 with a 50 ante with approximately 200 players remaining. 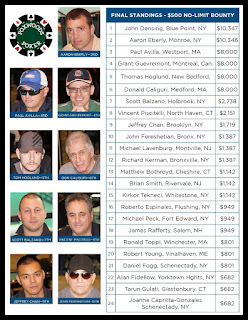 Michael Fiumefreddo, winner of the $300 No-Limit Hold 'em event. 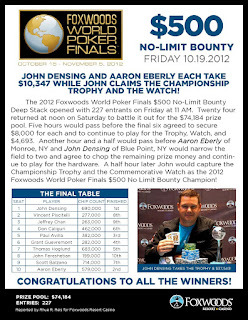 Congratulations to Michael Fiumefreddo, champion of the $300 No-Limit Hold 'em event at the 2012 Foxwoods World Poker Finals. 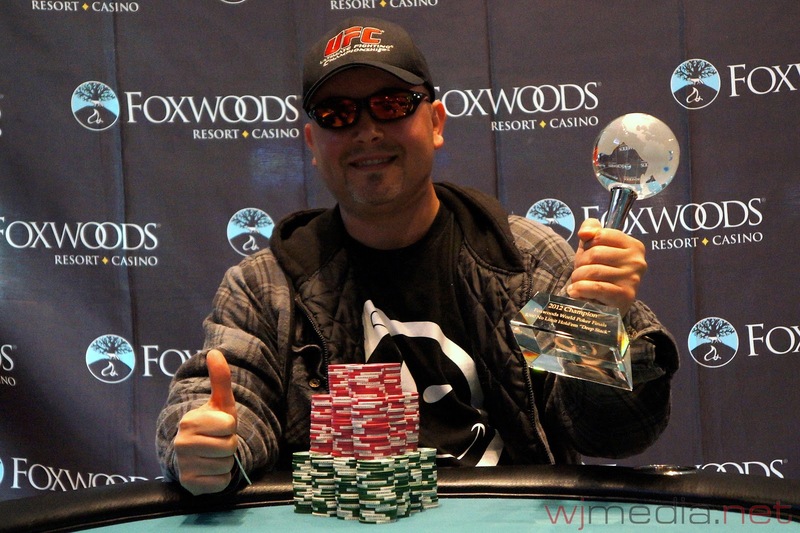 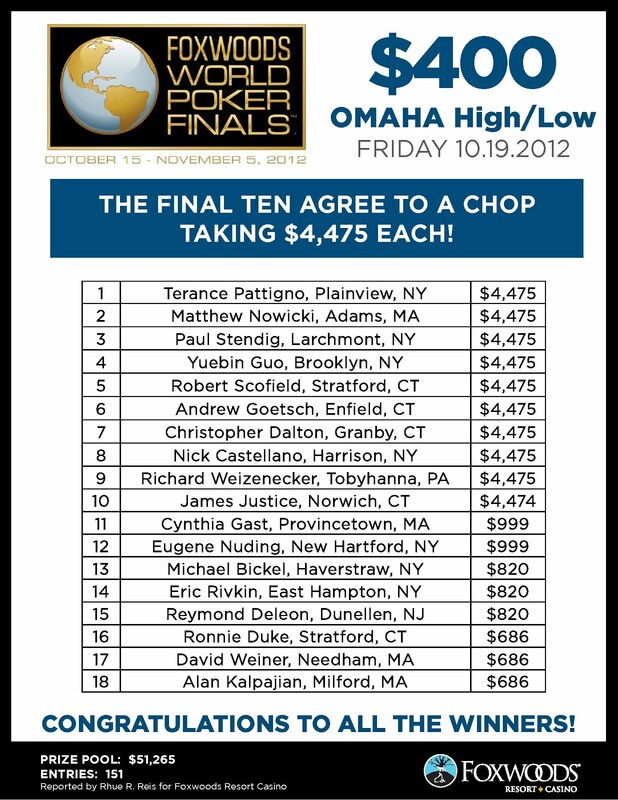 Fiumefreddo takes home $19,388 and the World Poker Finals Trophy for his victory. 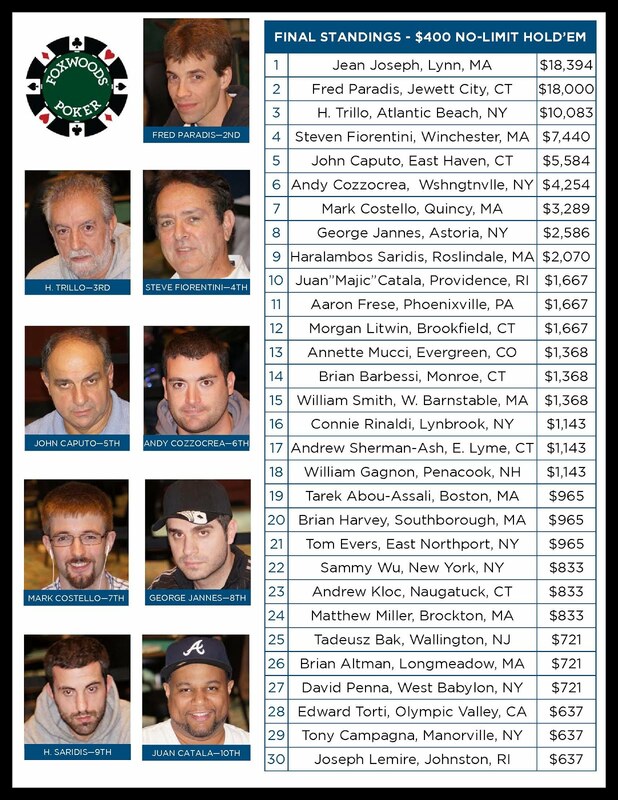 $300 No-Limit Final Table Now Streaming Live! We have reached the final table of the $300 No-Limit Hold 'em event. 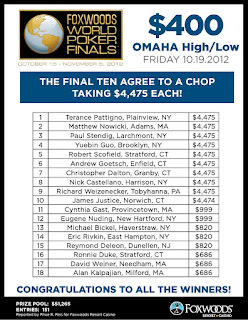 The blinds are currently 20,000-40,000 with a 5,000 ante. 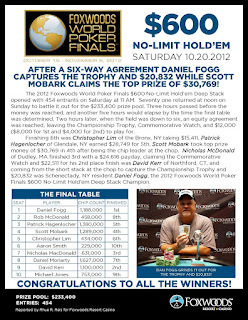 Scott Inman Wins the $500 No-Limit Hold 'em Seniors Event! 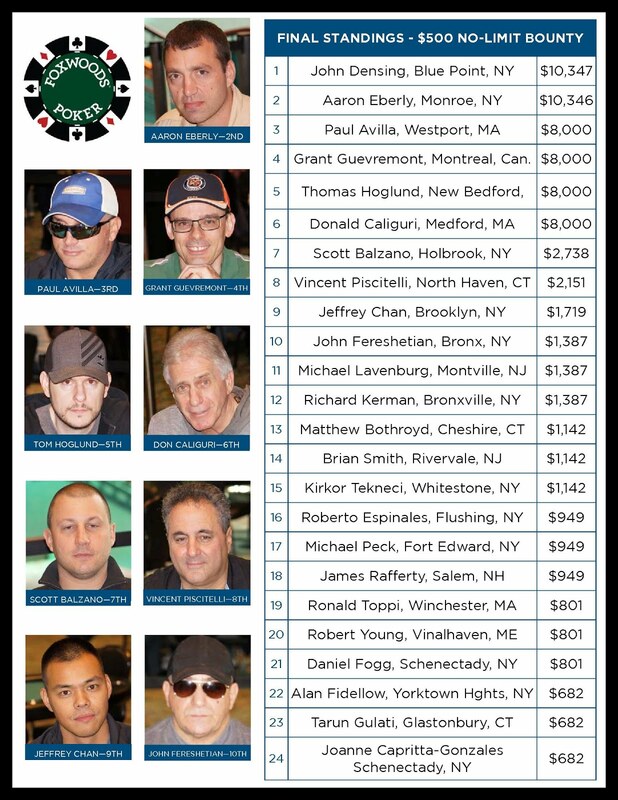 Scott Inman, winner of the $500 No-Limit Hold 'em Seniors event. 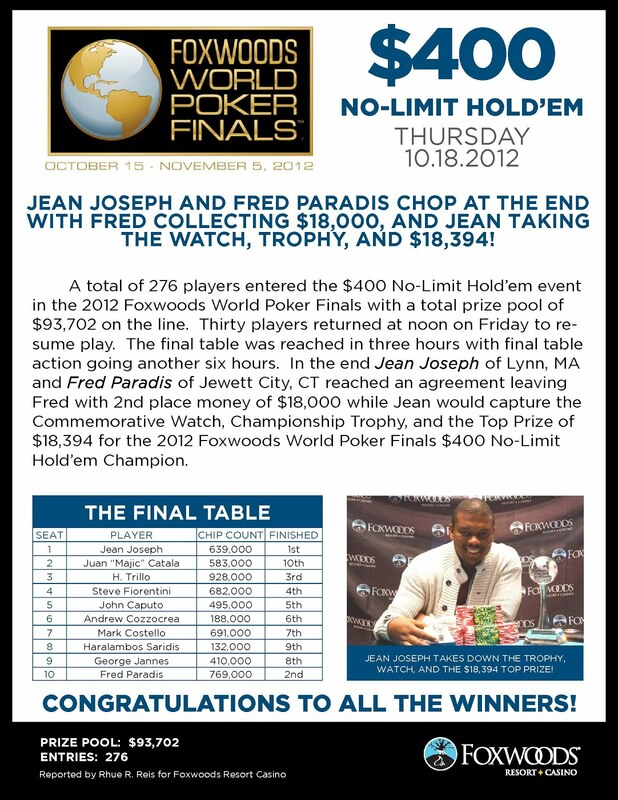 For the second night in a row, after a multi-way chip equity chop, the person who had the least amount of chips at the time of the chop has come back to win the event. 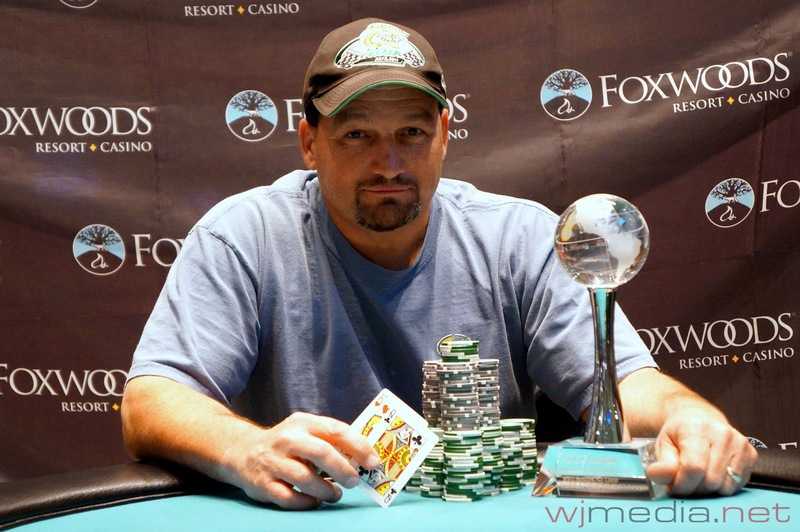 Scott Inman came back from a massive chip deficit ended up winning the $500 No-Limit Hold 'em Seniors event at the 2012 Foxwoods World Poker Finals. 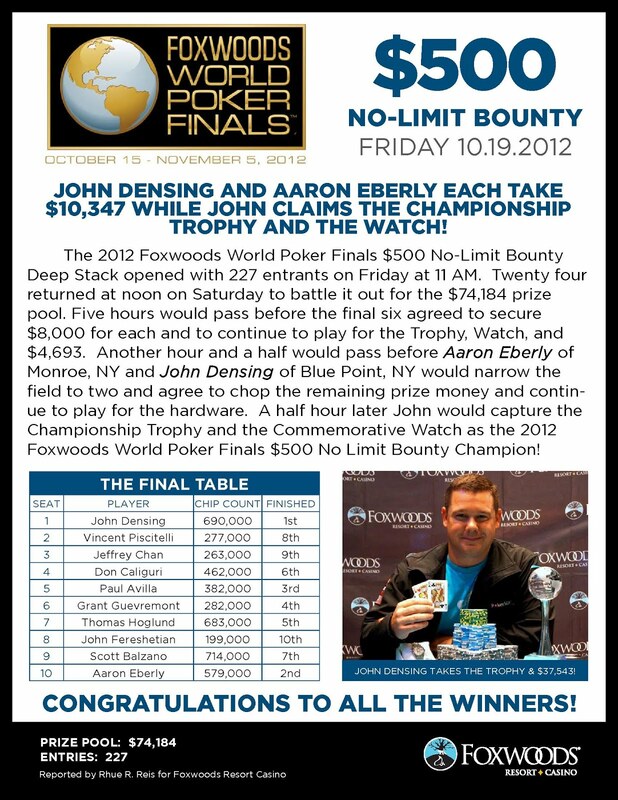 He takes home $9,619 and the World Poker Finals Trophy.